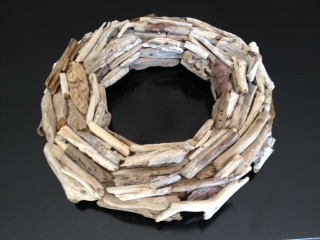 A few days ago I finally decided to use the driftwood that the boys and I have been collecting from the rip rap at our Island Home. 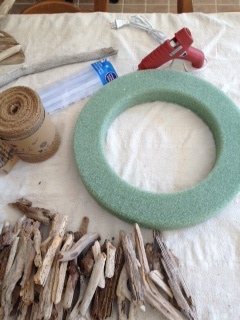 I got the idea from The Wood Grain Cottage which you can find here. 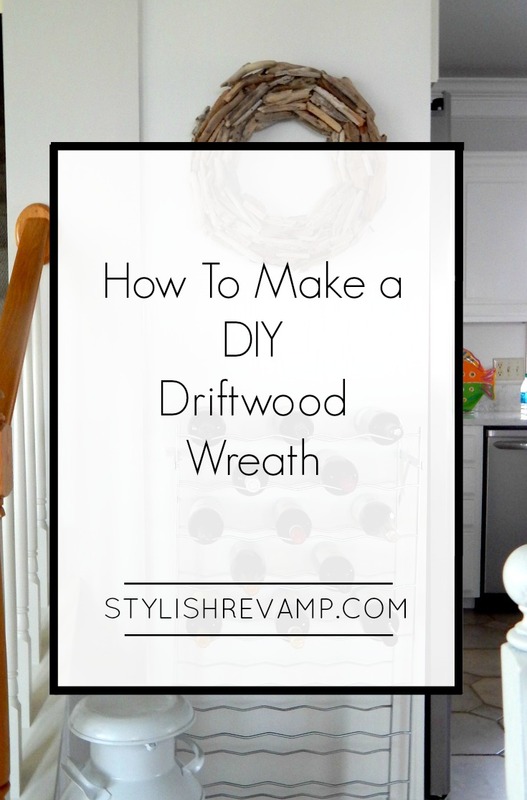 I absolutely love the idea of a driftwood wreath so today I am going to share with you how to make a DIY Driftwood wreath of your own. 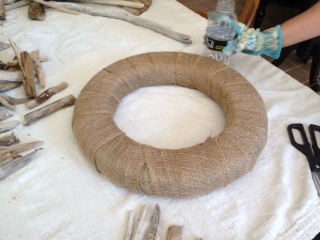 First, I wrapped the foam wreath form in burlap an attached it with hot glue. This was super simple. 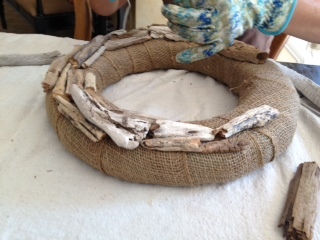 Let it completely dry before hanging. This was a super easy project although a bit messy. 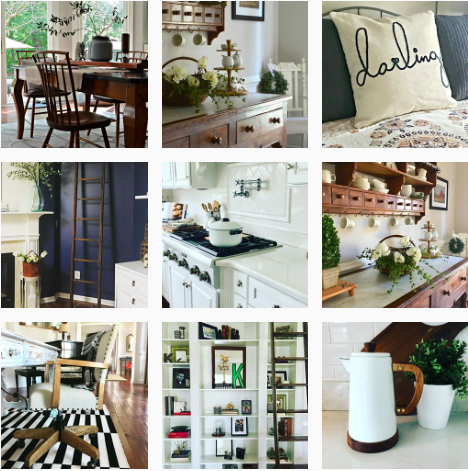 I am thrilled with how it turned out. 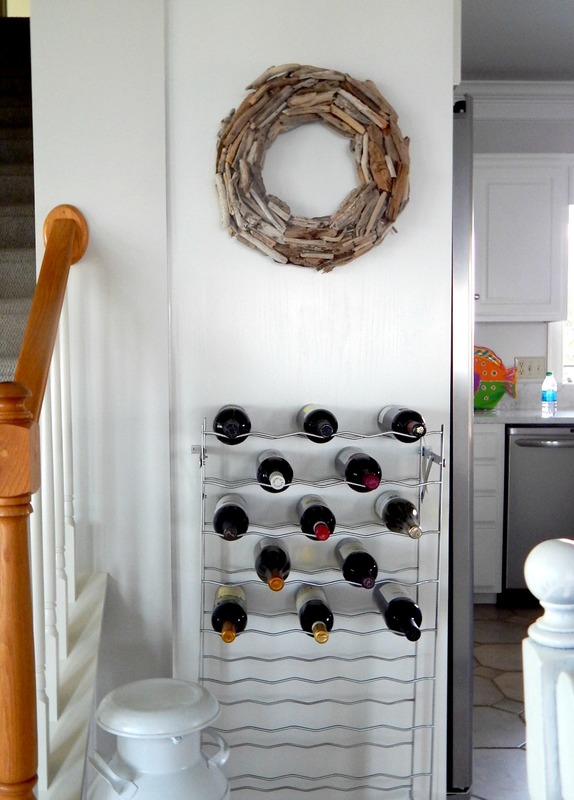 Thanks Shayna from The Wood Grain Cottage for this great idea. 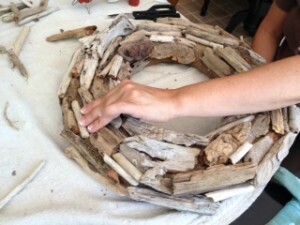 I took the finished wreath down to the Island Home where we found all of the driftwood to begin with and added it to my kitchen. I have to say that it fits in perfectly. What do you think?